Not many people use their phone exclusively for making calls or sending messages today. If you're an Android user, the chances are high that you're using your phone or tablet for work-related activities. However, the basic set of apps and services your device was shipped with won't satisfy most users. The good thing is that Google Play Store has a nice selection of productivity apps for every task. Below you'll find a list of apps that will help you gradually optimize and organize your digital life and improve productivity. All of the apps are free to download and use, thou they might have in-app purchasing options. None of them are mandatory for the app to function properly. Evernote is an absolute must-have for anybody who cross path with images, text and web pages. That's basically everybody. 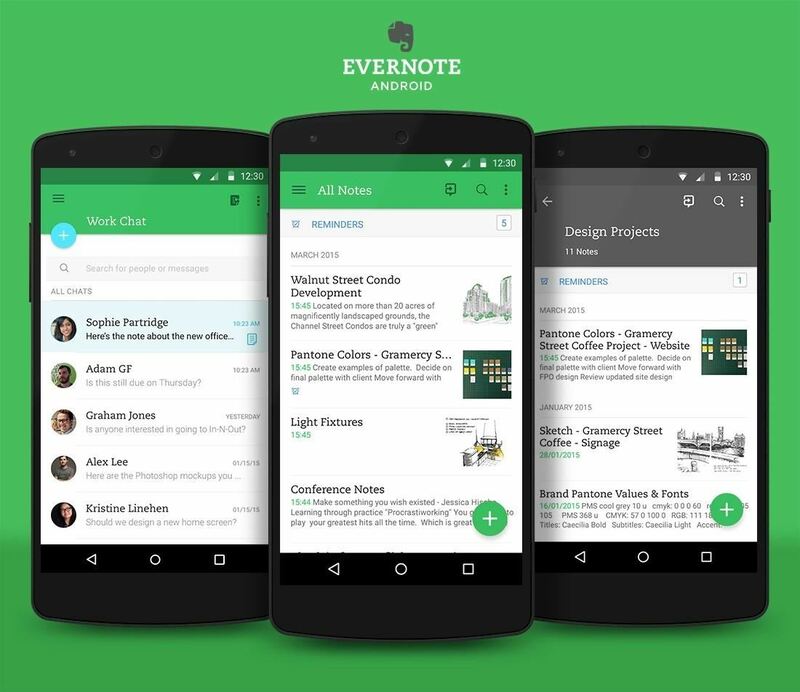 Simply put, Evernote is an online note-taking app, or your virtual notepad. It can be used for typing text and taking notes, saving images and web pages, storing other files like PDFs and PowerPoint presentations, creating to-do lists and more. You can create virtual notebooks with multiple entries, link them together, tag articles and organize your files however you want. 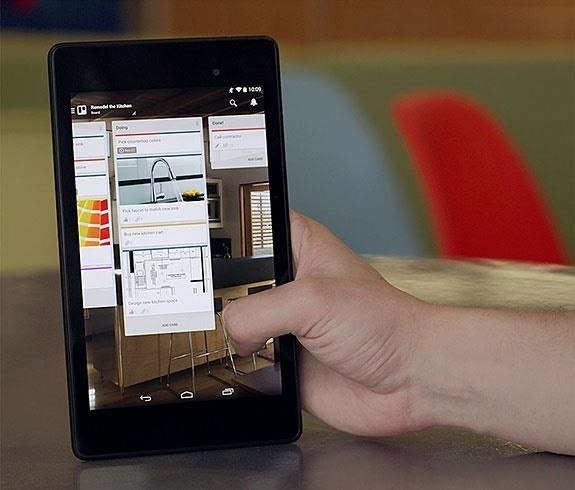 Your notes stay synced between the online service and the Android app so no need to worry about losing the notes. 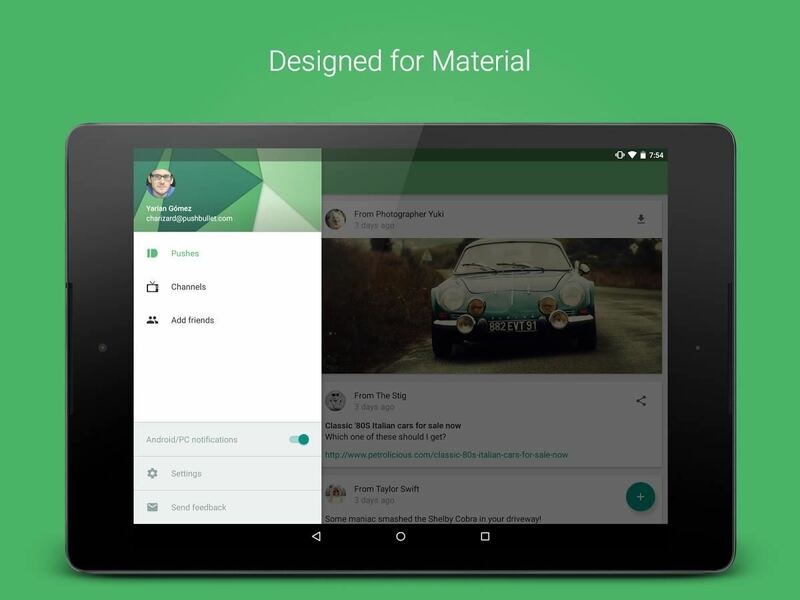 Pushbullet is a nice solution for people who use multiple devices and want to easily share content between them. Pushbullet works as an intermediate between the devices you add it to. Save for an Android app, Pushbullet also is a browser extension and a separate program. With it you can send links, text, images and other files to other devices you have synced with it and to your friend who also use this service. It also functions as a messenger and a bookmarks manager. The stock Android doesn't have a file manager. B1 File Manager can do what the file explorer does in Windows and more. 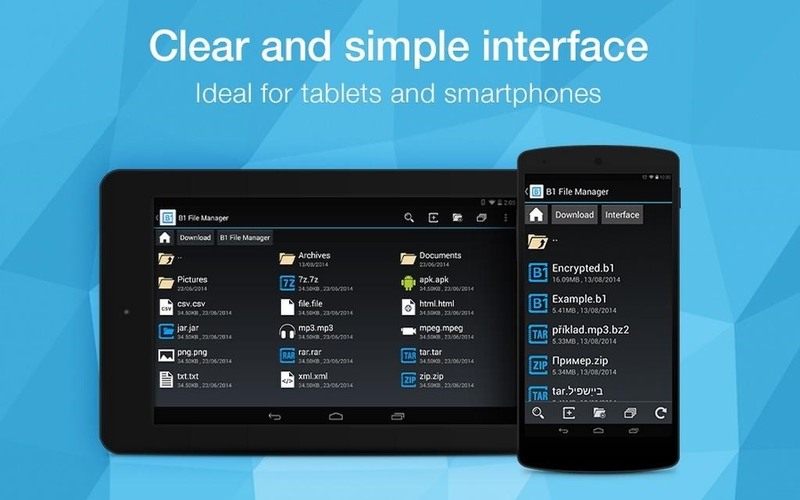 B1 File Manager is a app for browsing through files and folder on your Android device. It has all of the features you would expect from such kind of an app: you can move, copy, rename and delete files. In addition to this, B1 File Manager supports over 40 types of archives, meaning that whenever you download a zipped file from the Internet, you can be sure that you'll be able to unpack it. Also, the app support FTP/SMD shares, Dropbox, Google Drive, Onedrive and other cloud storages. 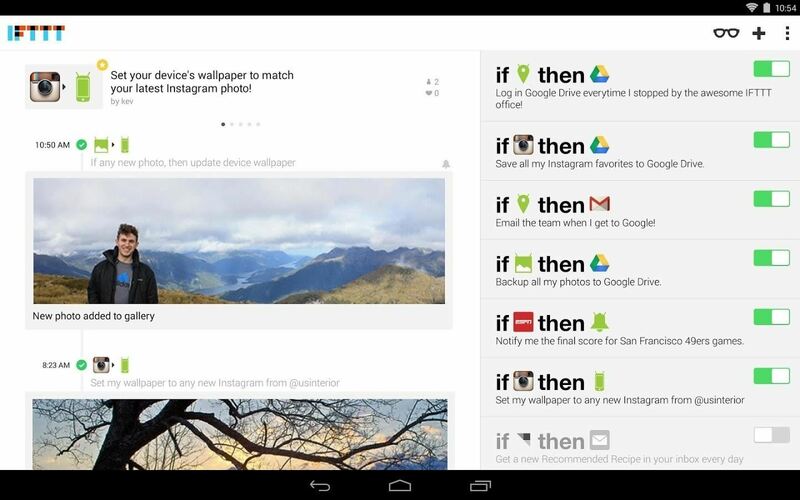 IFTTT is a rather easy way to fully automize every aspect of your digital life. IFTTT works as a service to create simple connections between different events in different apps. Thousands of ready Recipes are available as an example of what you can do with the app. E.g. you arrange so that when you take a photo it automatically gets posted in Twitter. Or whenever you receive a document via email it automatically gets saved into a cloud storage of your choice. With a little creativity, IFTTT can make routine tasks unnoticeable. In almost every sphere of work, you'll most certainly find yourself in need of a comprehensive office suit. 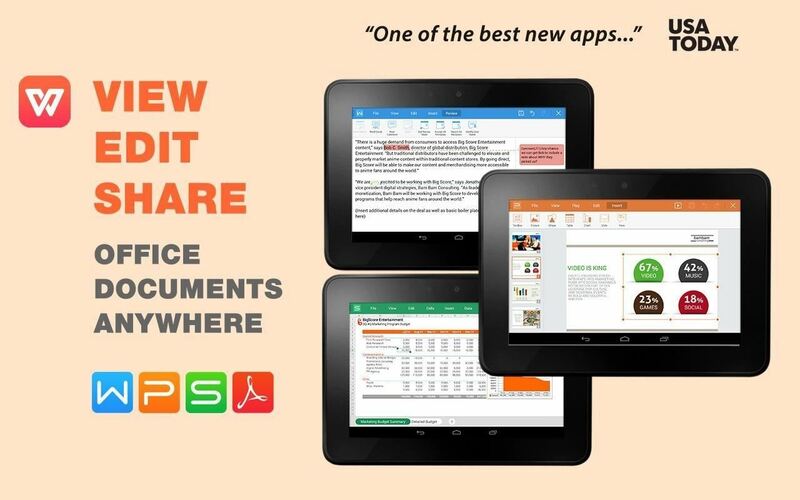 WPS Office + PDF is an office suit has been around before MS Office for Android was launched, so for many Android users it's a default go-to office app. It has a perfect support for most common text-based document, excel spreadsheets, presentations, plain text files and PDFs. I've never came across a document that this app couldn't open or render correctly. It's rather simple, yet feature-rich, it's light-weight and works smoothly on any kind of android device. Ever forgot something on your PC that's not available in the Internet or in the cloud? Now you can get it via remote control. TeamViewer is a program that has been available on PC for ages, and now you can get it on your Android device. With TeamViewer you can remotely connect to your PC (to your parents PC for solving tech issue) in order to operate desktop programs unsvailable for Android, retrieve forgotten files or to shutdown your PC when it has finished the tasks you left it with. TeamViewer can save you a lot of pains when your PC is miles away from you. The days when you needed to keep a text file with with your copy-paste materials are long gone. 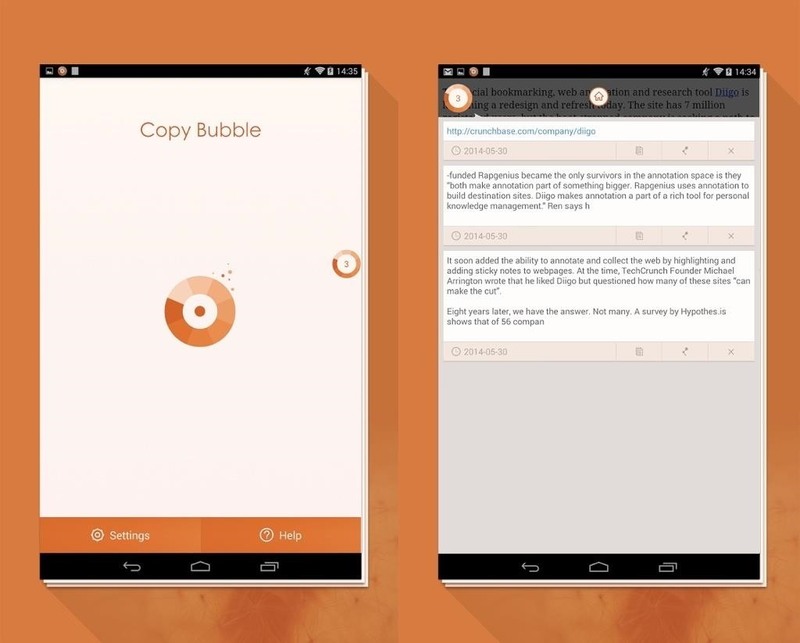 Copy Bubble is a clipboard manager for Android. The default Android clipboard lets you buffer only one copied text which will be overwritten once you copy something new. Copy Bubble removes this limitation and lets you store unlimited amount of information for pasting. The clipboard is will be available as a floating bubble above all other open apps which lets you easily access it and select whatever material you want to paste next. Collaboration and project management can have an appealing design and still be very functional. Trello is a cross-platform collaboration and organization tool for work-related projects or personal tasks. Unlike Evernote, Trello was designed to specifically be a hub for projects you currently run or supervise. You can create a task, sub-tasks, compile a list of necessary components, set priorities and assign tasks or their elements to people you collaborate with. The best part is that Trello gives you an easy to control overview of all the tasks and their progress so you know in a glance what needs to be and what is already complete.